Ben Bussey is a planetary scientist who is currently the Chief Exploration Scientist in NASA’s Human Exploration and Operations Mission Directorate. He earned a BA in Physics from Oxford University and a Ph.D. in Planetary Geology at University College London before moving to the States. He gained both science and mission experience while working at the Lunar and Planetary Institute in Houston, the European Space Agency, Northwestern University and the University of Hawaii, before joining the Johns Hopkins University Applied Physics Laboratory where he was the Group Supervisor of the planetary exploration group. Bussey’s research concentrates on the remote sensing of the surfaces of planets, particularly the moon. He has a particular interest in the lunar poles, producing the first quantitative illumination maps of the polar regions. He co-authored the Clementine Atlas of the Moon, the first atlas to map both the lunar near side and far side in a systematic manner. 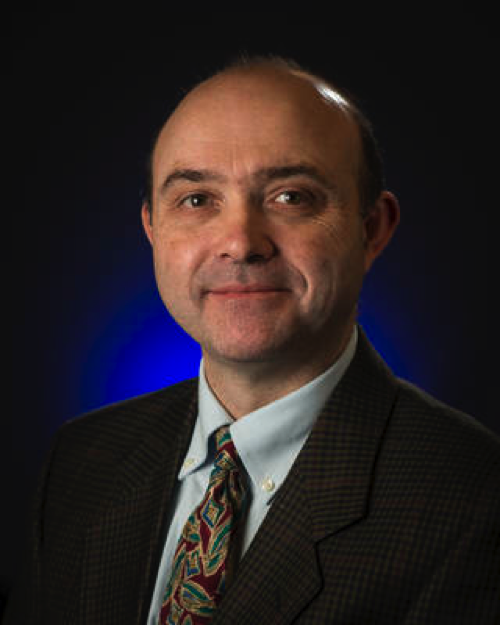 Prior to his position at NASA, Dr. Bussey was Principle Investigator (PI) of the NASA VORTICES SSERVI team and before that the PI of a NASA Lunar Science Institute team that considered the Exploration and scientific potential of the lunar poles. He was Deputy PI of the Mini-RF radar instrument in India’s Chandrayaan-1 mission and was the PI of the Mini-RF radar instrument on NASA’s Lunar Reconnaissance Orbiter. This instrument, together with the Arecibo Observatory, has acquired unique bistatic radar data to search for polar ice deposits on the moon. He enjoys planetary analog field work and has been fortunate to have twice been part of the ANSMET (Antarctic Search for Meteorites) expedition to recover meteorites from the Antarctic glaciers.